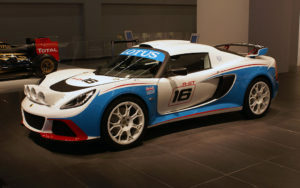 The ongoing partnership between Lotus and Yokohama Tires continues as the Lotus chose to have Yokohama ADVAN A048 tires for the high performance Lotus Exige. 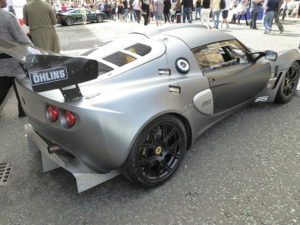 Yokohama tires are already the official tires on the Lotus Elise. 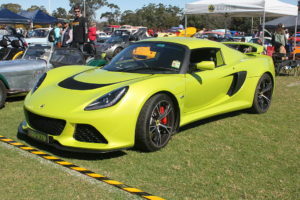 The Lotus Exige is engineered specifically for the racetrack, where maximum grip and immediate steering response are extremely crucial. As a result, Lotus has picked Yokohama’s ultra-high-performance ADVAN A048s as the tires of choice for the lightweight Lotus Exige. 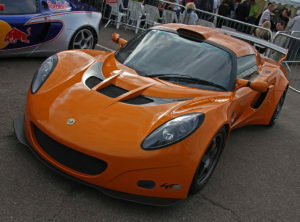 In addition to being the OE tires for the Lotus Exige, Yokohama Tires’ flagship ADVAN line is now original equipment on many other world’s fastest and most prestigious vehicles, such as the Bentley Continental GT, Bentley’s Continental Flying Spur, the Lotus Elise, 2006 Porsche 911 Carrera 4, and Lexus GS300 and GS430. The ADVAN A048 is Yokohama’s Street-Legal Competition tire engineered for the drivers of vehicles racing in autocross competition, track schools, lapping days and circuit-type club racing. The Yokohama A048 was developed from Yokohama racing technology for a variety of vehicles that include the 18-inch rim diameter fitments used on the Porsche 911, Porsche 911 Turbo, Porsche Boxster and others. On the outside, the ADVAN A048 molds a race-ready compound that provides dry grip over a wide range of temperatures into a 6/32-inch deep, “single block” tread design that increases tread stiffness and features a wide center area that stays in continuous contact with the track to enhance cornering stability, on-center feel and steering response. As the tire’s outer shoulder tread wears from hard cornering, the Yokohama A048’s directional tread design and symmetric internal construction allows worn tires to be remounted “inside-out” on their wheels to help prolong the life of the Yokohama A048 tires. We suggest shaving ADVAN A048 tires to between 3/32″ to 4/32″ of tread depth for competitive road racing. Yokohama Tire Corporation is the North American manufacturing and marketing arm of Tokyo, Japan-based Yokohama Rubber Co., Ltd., a global producer and distributor of premium tires since 1917. Yokohama Tires services over 4,500 points of sale in the U.S., Yokohama Tire Corporation offers a complete line of tires, such as high-performance, light truck, passenger car, commercial truck and bus, as well as off-the-road mining and construction applications. On the inside, the ADVAN A048 is made of twin steel belts that reinforced with spirally wrapped nylon cap plies and belt edge strips. The belt package is placed on top of a rounded casing design that allows the tire to predictably handle transitions from straight-line travel to high g-force cornering and back. For more information on the Yokohama ADVAN A048 tires, visithttp://www.hotchromerims.com/tires/yokohama/advan-a048-275.html. Yokohama A048 tires is one of the most popular choices for racers as it provides extremely high performance at a low cost.